Residents of the City of New Lisbon enjoy an excellent educational institution, an unlimited outdoor recreational opportunities and community events. Small City life is offered through affordable housing, friendly people, and low crime rate. Along with employment opportunities, the City of new Lisbon offers an incredible quality of life. 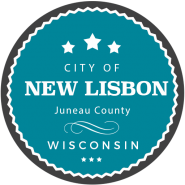 New Lisbon is located in Central Wisconsin’s Juneau County. The City is located just off of Interstate 90/94 (exit61).